Mario Tennis: Ultra Smash launched on Wii U in 2015 to poor reception from fans and critics alike. The game added little in way of new mechanics and even less in terms of reasons to return to the game time and again. With gameplay that expands your arsenal, an improved online suite, and a better list of modes, Mario Tennis Aces on Switch hopes to avoid the double fault and deliver a better experience for players. I went hands on with one of Aces' main attractions, adventure mode, to learn the basics of the new gameplay and see if this entry is more likely to sink its hooks into players. You only play as Mario in adventure mode, but the story features many character besides Nintendo's mascot. Luigi has uncovered an evil tennis racket, and it has taken him, Wario, and Waluigi hostage. Mario sets out to rescue the captive characters and uncover the secrets of the racket's past. The journey takes Mario to Bask Kingdom, a dominion previously ruined by the powerful racket. To fight for his brother and the destroyed kingdom, Mario learns new abilities, which play out as brief tutorial stages in adventure mode. As I work through the early lessons, I relearn the basics of Nintendo's brand of tennis. 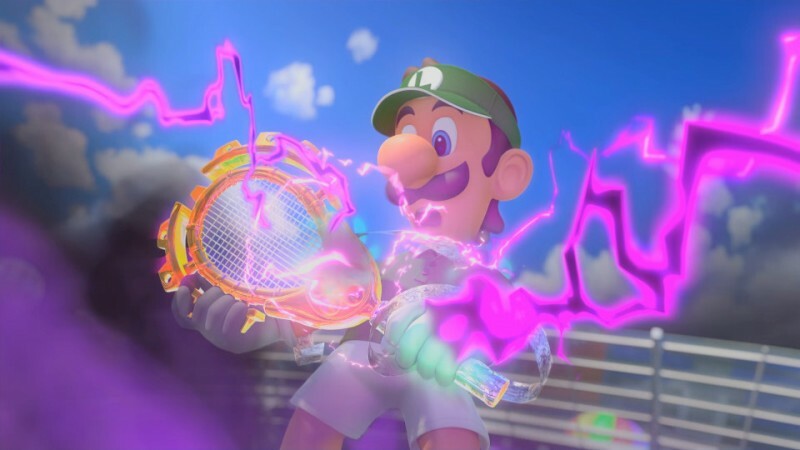 Once we get the different strokes down, I move on to learning the new abilities Mario Tennis Aces introduces. As I rally back and forth with my opponent, an energy gauge fills in the corner of the screen. I can use available energy for zone speed, which slows time and allows me to get into position, or zone shots, which I can perform if I get into proper position and expel energy as I swing my racket. If I initiate a zone shot, my character springs into the air and an aiming reticle allows me to place my shot; the longer I take to aim, the more energy I consume. You can aim away from your opponent, but if you want to challenge them, you can hit it right at them. If they don't time their counter correctly, the powerful shot will damage their racket. Inflict too much damage to your opponent's racket and it'll break, giving you the win by default. 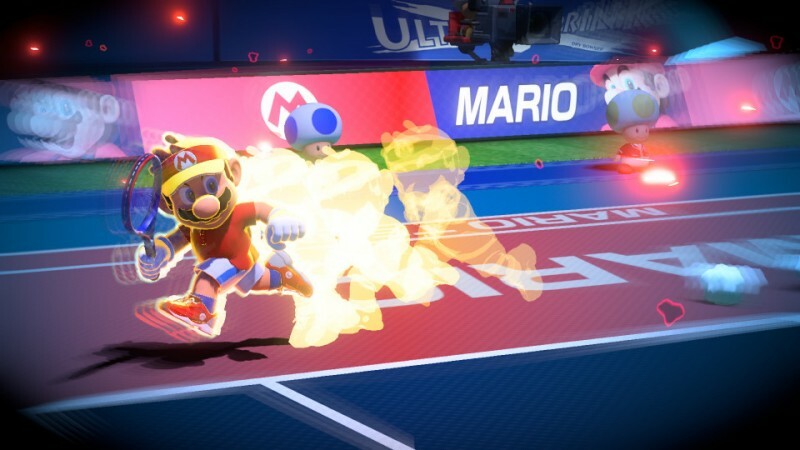 Mario's newfound zone powers are great, but they're no match for the special shot, which can be initiated from any spot on the court when the energy gauge is maxed out. When you use a special shot, you launch into a character-specific cutscene and enter the aiming sequence again. This time, if your opponent tries and fails to return the shot properly, it'll destroy their racket in one hit. This means that if you decide to test your skills and return a special shot, failure carries a hefty price. The final shot type I learn is a trick shot, which causes my character to leap, lunge, or flip in the direction of the ball in a desperate attempt. It's tough to be successful with, but using this shot, I was able to reach several balls I would've just watched go by in most tennis games. With my new arsenal of attacks, I jump into the first few real challenges of adventure mode. 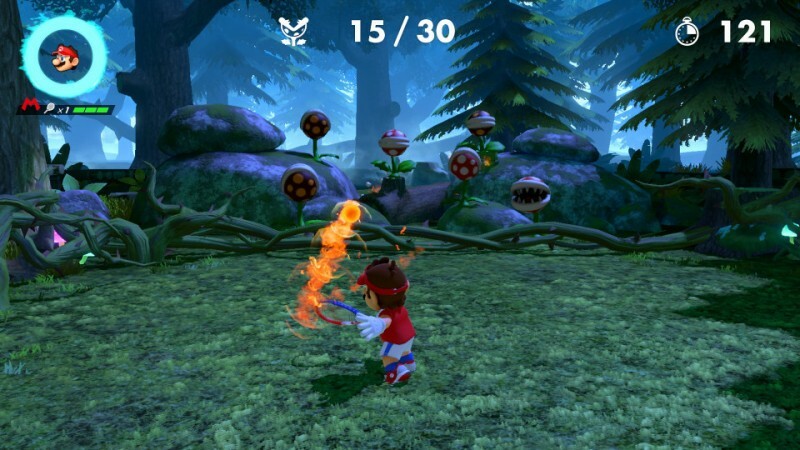 From special-rules matches against other characters on the roster like Spike and Donkey Kong, to a minigame where I must return balls from a wall of piranha plants, adventure mode looks to provide fun diversions that give you additional ways to enjoy the game of tennis. As I complete challenges, I earn experience for Mario to improve his shot speed, run speed, and agility ratings. I also earn new rackets, which have their own set of attributes including attack, defense, and durability. I imagine that durability rating will be one to focus on if you're not great at timing your returns on zone shots. 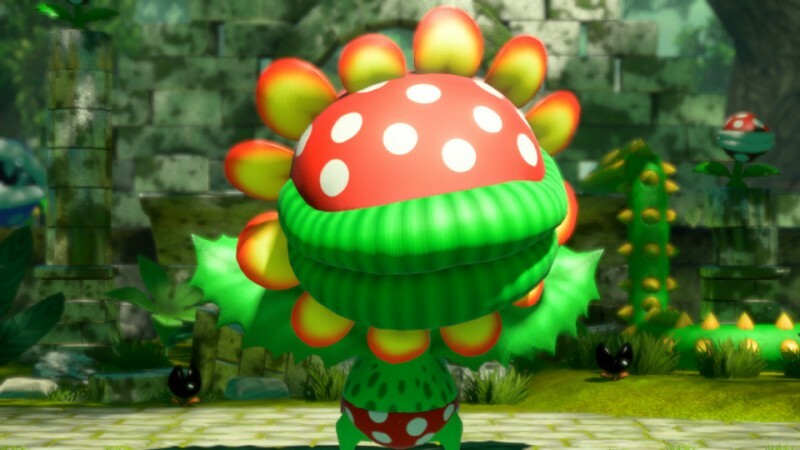 My time with adventure mode culminates with a showdown against a boss: Petey Piranha. He puts wicked spins on the ball, but by simply continuing the rally, I chip away at his stamina. Once his bar is depleted, he tips over and I enter a zone shot to deal damage to his weak spot. After a few cycles of this, the battle is mine. It's a fun twist on the core tennis mechanics and I look forward to more creative boss fights. Mario Tennis Aces seems to show a Camelot team that took the criticisms of Mario Tennis: Ultra Smash to heart. With myriad new gameplay mechanics and a fun adventure mode, I'm looking forward to seeing the full scope of the improvements when the game launches on June 22. In the meantime, you can see the trailer for adventure mode below.